Influenza vaccinations are recommended for all persons of 6 months and older. In 2019, more than 6 million doses are available for high risk patients, fully subsidised by the government. Eligible persons include people 65 years and over, pregnant women, persons with chronic disease conditions as well as all Aboriginal and Torres Strait Islander people from 6 months of age. Vaccines are also available privately at the centre for $15 each when a patient is not eligible for a subsidised vaccination. Talk to your doctor to check if you are eligible on the day of your appointment. 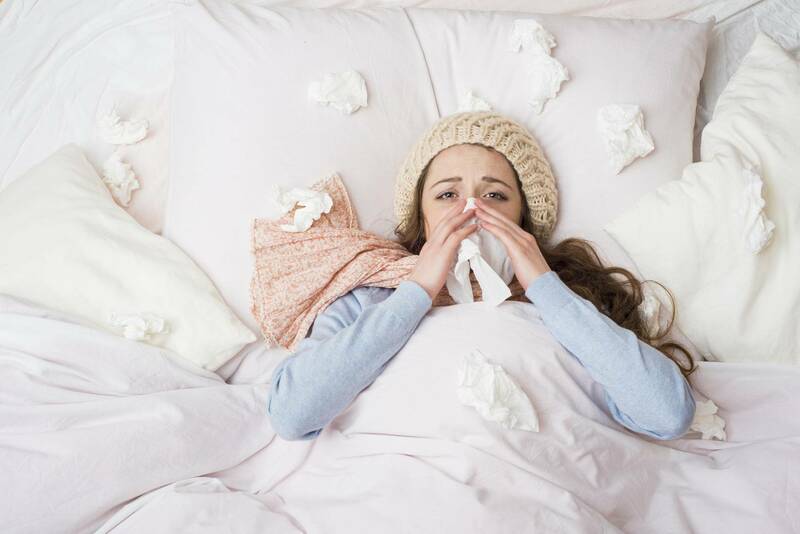 Influenza is a serious, highly contagious infection that not only results in time off from work and missed holidays, but may also result in life threatening conditions. "The flu" not only affects the young and elderly, but persons who are fit and healthy. Sepsis is a serious condition that can cause rapid deteriorations. Those close will remember Maddy Jones and Thomas Snell. To ensure you are covered for the entire flu season, it is recommended that you book an appointment after mid-April, unless you are travelling before this time. Homa Askari's special interests include Women’s health and family planning, children and adolescent health, skin cancer treatment, Mental Health, Chronic disease management including diabetes and asthma care. Shabana Jaipurwala's special interests include Paediatrics, Women’s health, Antenatal and Post Natal care, reproductive health, Fertility and family planning. Our Doctors provide GP Management Plans and Team Care Arrangement for patients with chronic medical conditions. These conditions include cancer, asthma, diabetes, cardiovascular disease, stroke and musculoskeletal conditions. Health is a an important aspect to consider when travelling overseas and to remote areas. We provide a complete range of travel vaccinations and travel health care services to protect you and your family on holiday, or your organisation and staff for corporate travellers. Australia and New Zealand having the highest incidences of Melanomas per capita in the world. The earlier a skin cancer is identified and treated, the less invasive the treatment has to be. For this reason, annual skin checks for are important, book yours today with our qualified physicians. Symptoms of low iron levels include pallor, lethargy, breathlessness, weakness, poor appetite, poor concentration and attention span, and increased susceptibility to illness. An review with our GPs may indicate low iron, and an infusion may be right for you. Talk to your doctor for an assessment. No two individuals are the same, and every individual needs personalised care and support. General Practitioners are specialists in primary diagnostics and treatment, leveraging on extensive training and a doctor-patient relationship built through a lifetime of care and family support. Eaton Central 7-Day Family Practice is a Bulk billing Medical Centre located in the Heart of Eatons Hill. As a family practice, we provide comprehensive care for patients of all ages and our doctors have experience in diagnosing a wide range of illnesses and complex issues by using both patient symptoms and family history. Finding a doctor who is empathetic, understands and can relate to both you and your family is what will help you get primary care when you require it. To this goal, we aim to provide excellence in care, hosting a range of practitioners with different backgrounds and experiences so that you can build an understanding and long-term patient-doctor relationship. We offer 7-day care at the Eatons Hill Medical Centre with extended hours from 7:00AM to 6:00PM Monday through Friday. Our goals at Eaton Central 7Day Family Practice include offering excellence in service, with core values of service, empathy and respect to all patients. In adhering to these core principals, service to our patients from the first time we are contacted is our priority. Being a bulk billing medical centre in no way reduces the time, care and attention that each of the patients who visits Eaton Central 7Day Family Practice deserves to be given, and we aim to give the best. The Doctors at Eatons Hill offer general practice support in a family friendly environment. The doctors working at Eaton Central are autonomous, where the practice aims to support their special interests and training to ensure a amicable and relaxed environment for the doctors, helping to promote full focus on the patient by the doctors. The Eatons Hill Doctors come from a variety of nationalities with a range of backgrounds and experience, helping you find a doctor you can trust and build rapport with. With a wide range of experiences, the doctors at Eatons Hill are well equipped to provide you with the advice you need. If you are looking for advice on general health and wellbeing, medical certificates or prescription medication through to family planning, mental health support and chronic disease management our practitioners have the knowledge and contacts to ensure you are cared for and feel the best you can. In our endeavour to support our doctors in their special interests, our website provides a short overview of further skills and passions that each doctor holds. Doctor Alireza Afrasiabi also leads our Eaton Central Skin Clinic, with the help of longstanding practitioners Nima Nemati and Homa Askari. This team of qualified make and female GPs ensure that you have excellence in skin cancer care and treatment. Doctor Afrasiabi has further qualifications with the Australasian College of Skin Cancer Medicine, providing him with the qualifications, support and experience to perform more difficult surgeries including skin flaps on conspicuous areas of the body. Eatons Hill and the area surrounding the Eatons Hill Medical Centre is not only growing in population, but the amenities we now have access to in Eatons Hill are also steadily improving. At Eatons Hill Family Practice, we also offer allied health services on set days throughout the week, and in the precinct, you have the well respected Alfina’s Cake and Coffee shop, Lollipop Cake Supplies and the Baan Phaya Thai Restaurant amongst others. With ample parking and easy disabled access, finding us behind the 7Eleven on Bunya Park Drive is simple at any time we are open. Eaton Central 7Day Family Practice is a bulk billing practice.